OCALA, FL, OCTOBER 8, 2012: Navroz Saju, President and CEO of HDG Hotels, announced the newest acquisition to the HDG family on October 1, 2012. This addition is the 151 room Quality Inn & Suites Conference Center in New Port Richey, Florida. Based out of Ocala, Florida, HDG’s newest addition grows its portfolio to 760 hotel rooms throughout Florida and would be HDG’s first hotel on Florida’s west coast. In making this announcement, Navroz Saju pointed to HDG’s remarkable growth over a ten year period where it has increased its total hotels from one to eight and increased its employees from 15 to nearly 300. The Quality Inn & Suites Conference Center is a full service hotel with a restaurant, bar and 5,000 square feet of meeting space. It also includes three swimming pools and is nearby to Tampa and Tarpon Springs. 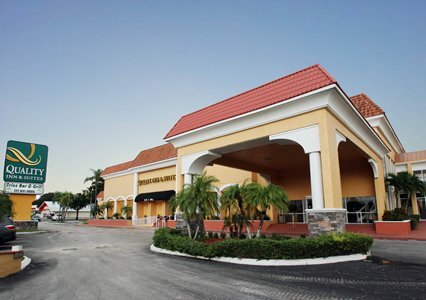 The hotel is located on U.S. 19 and also nearby to many local area attractions and restaurants.